Our gift vouchers are the perfect way to give something special! These make fantastic presents for weddings, birthday parties, bar/bat mitzvahs, Christenings and any other event imaginable. Please fill in the form below with your requirements and we will be in touch to process your gift. If yes, please let us know the date and location of the event. If no, simply write No. 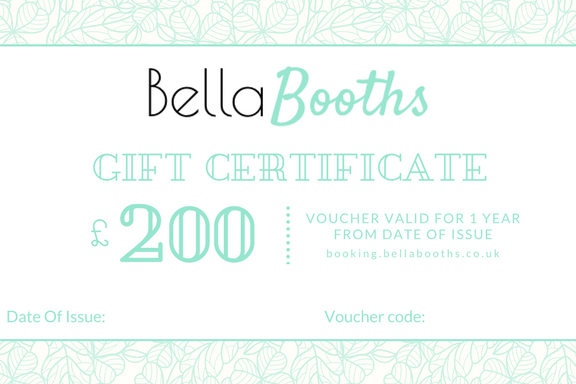 In the rare chance we are unable to attend the event due to Bella Booths already being fully booked for that date we will offer a 95% refund of the voucher value. The 5% is to cover our admin fees.